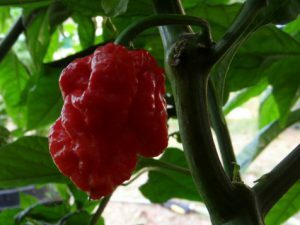 Cahoots-(Capsicum chinense)-The Cahoots pepper is a another great superhot chile cross bred by Wisconsin Master Grower Chad Soleski. 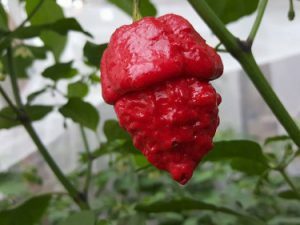 It is a cross between his Wrecking Ball X 7 Pot Brown which then was crossed in 2015 with a Red Bhutlah variant that was named the clamshell because of its shell like shape. 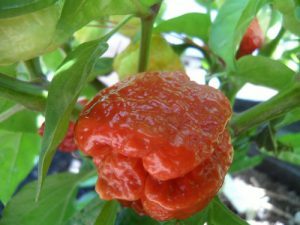 Stability as of 2018 is unknown but the Cahoots peppers are pretty consistent in size and shape throughout the plant. 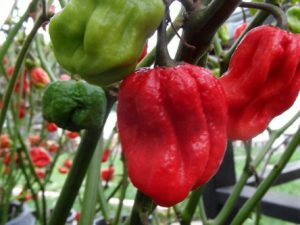 It has fruity tones of flavor but is not as devastating in burn as his other crosses. But it’s not to be taken lightly either. The Cahoots peppers are about 2 inches in length and over an inch wide. 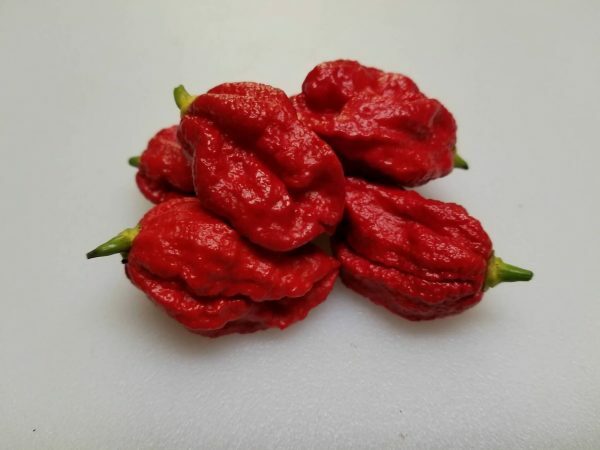 They ripen from green to dark red and are slightly wrinkled with bumpy skin. The Cahoots chile plants grow just over 4 feet tall.